11th grade students in the central region have left for Sawa on 27 July 2016 to pursue their 12th grade studies and fulfill national service duty. According to the Education Ministry’s branch in the central region around 6,000 students from different schools in the region are leaving for Sawa. The 11th grade students said that they have already made necessary preparations for outstanding outcome in their academic carrier. Parents of the students on their part expressed expectations that their children during their stay in Sawa would acquire skill and knowledge besides possessing physically and psychologically maturity. 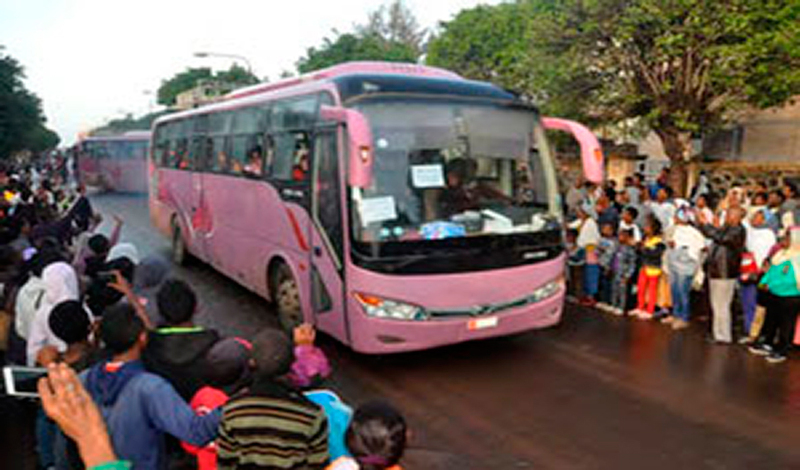 In the same vein 11th grade students from the Southern Red Sea and Northern Red Sea regions have left for Sawa today, 27 July 2016, while students from other regions would depart in the upcoming days as per the Ministry’s schedule.